"Be Aware! Don't Be Greedy." Head of Cyber Crime Awareness Society (CCAS) and Avenging Security Private Limited Mr. Milind Agarwal is a Professional Cyber Crime Investiator and Certified Forensic Expert. He (born 19-) is an Indian independent computer security consultant and author. He came into limelight when he solved the famous 'GoldSukh' case at the age of 21, and made several hacking claims, including working with intelligence agencies against terrorists. Subsequently, he started offering computer security consulting services, and became a sought-after speaker. and holds the various title like Cyber Crime Investiator, Cyber Security Expert, Ethical Hacker and Certified Forensic Expert. Looking for Certified Ethical Hacking Institute in Jaipur, Ethical Hacking Course in Jaipur, Ethical Hacking Training in Jaipur, CEH Course in Jaipur, Hacking course in Jaipur, Hacking institute in Jaipur, Hacking training in Jaipur, CEH institute in Jaipur, Ethical Hacking Institute in Delhi, Ethical Hacking Training in Delhi, Hacking Training in Delhi, Hacking Institute in Delhi, Hacking Course in Delhi? Then CCA Society is a famous Hacking institute which offers Hacking courses. We have professional trainers for our students. At CCAS, our main focus is on Vulnerability analysis and penetration testing, where we will train the students about the website and network security testing. CCAS, an Ethical Hacking institute in Jaipur providing Ethical Hacking training in Jaipur, Ethical Hacking course in Jaipur, CEH training in Jaipur, CEH Course in Jaipur is useful for those people who want to develop the secure websites/ software/applications or for those who want to make a career in cybercrime investigation. » How does internet work. » What is network ? » What is IP and types of IP ? » What is Mac ? » What is Cookie and Cache ? In this module of networking concept, cyber crime awareness society, will train students about the networking concept where we include the details about ip address, mac address, dns etc. In the module of operating system concept, ccas trainers will train the students about the linux, windows operating system, details about the cookies, cache etc. In this module of ethical hacking introduction, students will able to learn about the hackers, classes of hacking, types of hackers. In the module of footprinting, which is called information gathering, where we will teach the students to collect information about the target. In this module of google hacking, students will able to learn about the google searching operators. In the module of network scanning, which is also called pre attack phase, students will able to gather information about the targeted network, to perform vulnerability analysis which will be used to penetrate into the network. » How Hash Passwords are Stored in Windows SAM? In ethical hacking course this module will train students how to collect information using social engineering. Students will able to learn about session hijacking which will help them to hack the accounts using cookies or sessions. » How Web Applications Work? » What is LDAP Injection? » How LDAP Injection Works? » How XSS Attacks Work? » How CSRF Attacks Work? » How Cookie Poisoning Works? » How to Defend Against SQL Injection Attacks? » How to Defend Against Command Injection Flaws? » How to Defend Against XSS Attacks? » How to Defend Against DoS Attack? » How to Defend Against Web Services Attack? In the institute of ethical hacking, students will able to learn how to secure and hack the websites. » What is SQL Injection? » What is Blind SQL Injection? Our ethical hacking trainers will train the students about hacking and security of the database. » Introduction to Cyber Crime Investigation. » Types of Cyber Crimes. » Online email header analysis. » Investigating Data Theft Cases. » Investigating Orkut Profile Impersonation Cases. » Cyber Law & IT Act, 2000 / 2008. 4.9 out of 5 based on 11577 Students ratings. Cyber Crime Awareness Society and Avenging Security is private limited in the best institute for hacking course. I am placed in malaysia now after going through the course from this institute. I am penetration tester in malaysian company nowday’s. Hello everyone, I have completed ethical hacking course from this coaching center and I have fixed some bugs in mnc companies and got the bounties also. Hey I am lokesh I have learend ethical hacking from here and I am very satsfied. CCAS is this best training institute in jaipur and delhi for the hacking course. I will recommend all about this institute. Best institute to learn hacking from the cyber experts, I came to know many new things. I am rakhi from malviya nagr, I found this institute for ceh in jaipur that is the best till now, I have gone to many institute but the way of teaching is so awesome. CCAS is the good training institute for ceh in jaipur. Hey guys! I found myself a good ceh experts and now certified also. Awesome ceh tution in jaipur. Here in Cyber Crime Awareness Society, there is a advance classroom, and expert faculties. I will recommend everyone to join the ceh course in jaipur from this institute only. CCAS is the best institute for cyber security training in jaipur and delhi. If you want bright and good future then join ccas for best cyber security tuition in jaipur and delhi. Trainers here are so awesome, I loved and enjoyed here while learning cyber security. CCAS – cyber crime awareness society is the best institute for cyber security course in jaipur and delhi, recommended all to join this. Cyber Security training is a great field and I am placed in Chandigarh after doing training in summer vacations from this institute. If you want to get successful in the field of cyber security then get yourself trained from this tuition. I will surely tell everyone to learn cyber security from here only. I did my project training from here only in cyber security center of jaipur. 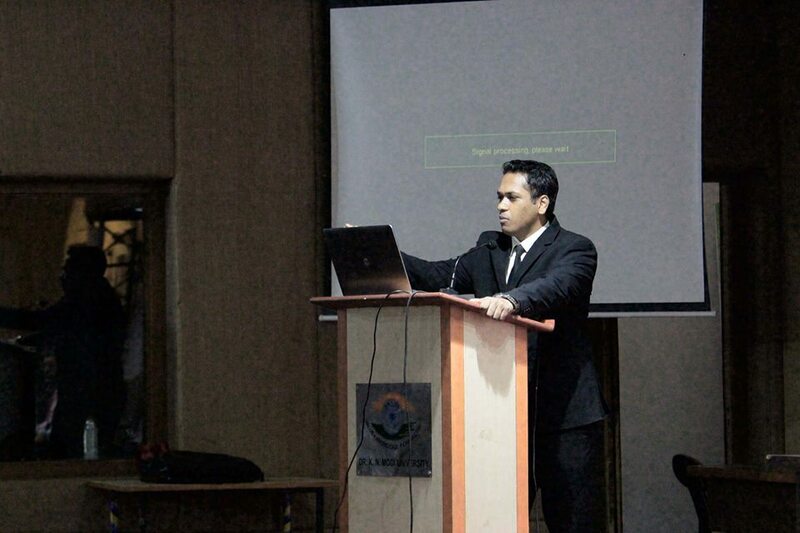 In Cyber Crime Awareness Society, there is a advance classroom, and expert faculties. I will recommend everyone to join the ceh course in jaipur from this institute only. Nice work done by ccas for ceh course. Ethical Hacking is a very broad discipline and a part of computing for almost five decades, it covers a number of topics. The term "hacker" was originated in 1960 at MIT, which was the first known event of hacking. Ethical Hacking is used to finding the entry points that exist in a computer system or a computer network and finally entering into them. Hacking is used to gaining unauthorized access to a computer system or a computer network that may be harmful to the systems or prevent to steal important information stored on the computer. Ethical Hacking is totally legal and it is used to find the weakness in a computer and network system for the testing purpose. The term hacking is sort form we say call it Ethical Hacking. The person who solves the hacking issues called "Hacker". Hackers are those who have complete knowledge and understand well that how systems operate and know how they are designed then attempt to play with these systems. Copyright © Cyber Crime Awarness Society 2019. All rights reserved.